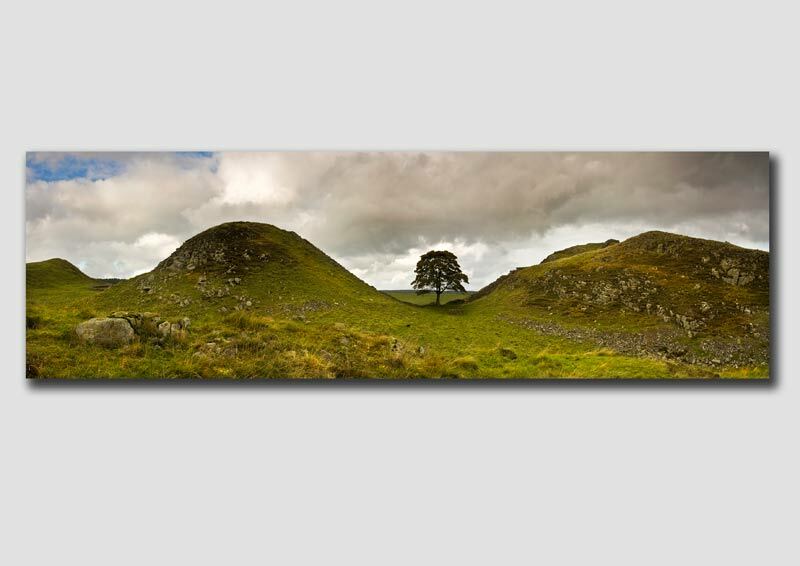 The Sycamore Gap shot in Panorama style. Canon EOS 5D, 17-40mm 'L' Series Lens. Location: Northumberland, Hadrians Wall, Coast, Landscape Photography.